CONTROVERSIAL offshore helicopters look set to return to skies above the North Sea after aviation watchdogs announced plans to lift a flight ban imposed following a string of fatal accidents. Super Puma helicopters have been grounded in the UK and Norway since a crash off the Scandinavian country last year which killed 13 people. The aircraft have been involved in a number of ditchings in recent years, including two other North Sea accidents which claimed a total of 20 lives. European aviation body EASA grounded the aircraft in the aftermath of the Norway crash. But the UK and Norwegian authorities kept the flight ban, waiting until now to unveil plans to lift it. Last night helicopter operators Babcock and Bristow would not rule out using the Super Pumas again in the future. The Super Pumas have been replaced, in the most part, by Sikorsky’s S92 helicopter. So the plan to reintroduce them sent shockwaves through the oil and gas industry – as no root cause of the Norway accident has been identified yet. It comes exactly a week after the Press and Journal revealed that manufacturer Airbus was canvassing opinion on public confidence in the machines. The UK’s Civil Aviation Authority said it “had not taken the decision lightly” but that numerous changes and modifications had been made to the choppers since the crash last April. Flights will not resume immediately as there will be a period of checks, modifications and inspections needing to be undertaken before the aircraft is returned to service. The CAA said it will also be for aviation firms and their customers to decide whether they wish to re-introduce the helicopters to service. And operators will need to supply safety cases to ensure that they have all the appropriate measures in place for a return to service. John McColl, head of airworthiness at the UK CAA, said: “This is not a decision we have taken lightly. It has only been made after receiving extensive information from the Norwegian accident investigators and being satisfied with the subsequent changes introduced by Airbus Helicopters through detailed assessment and analysis. A spokesman for Airbus last night welcomed the planned lifting of the flight restrictions on the H225 and AS332L2 variants. He also expressed the firm’s “deep regret” over the Turoy tragedy and offered “sincere and profound sympathies” to the bereaved families. Offshore Co-ordinating Group vice chairman, Jake Molloy, said they were “disappointed and frustrated” that the CAA had made the announcement without any co-ordination with the relevant workforce. And Les Linklater, executive director of Step Change in Safety, urged offshore workers to take part in the Airbus online survey in order to “have their voices heard”. 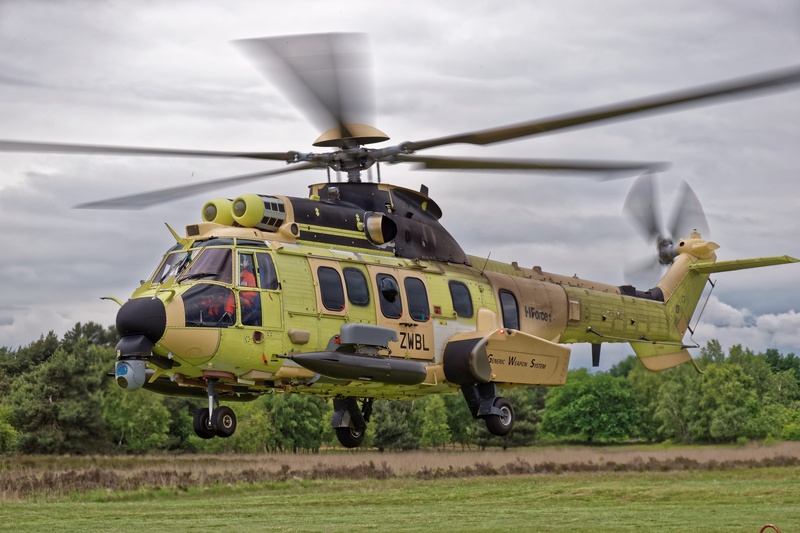 He added: “We note that the civil aviation authorities in the UK and Norway have set out plans to lift the operating restrictions currently in place on the H225LP and AS332L2 Airbus helicopters. It is extremely important to point out that this will not mean an immediate return to service. “Moreover, it will be up to the oil and gas companies and helicopter operators to decide if they wish to consider the return to service of these aircraft. Norwegian operator Statoil said previously it will not use Super Pumas even if the flight ban is lifted. Babcock said all decisions regarding aircraft type are taken in “close consultation” with customers. CHC Helicopters said that the firm did not have any Super Pumas in its UK fleet while Bristow said it was “reviewing the required changes”. A spokeswoman for Bristow added: “We will continue to suspend all operation of our EC225s, including for SAR and training, until we are confident that the aircraft can operate safely.